Growing up as an Indian in the Middle East, within two food cultures that privilege eating with your hands, I always felt a certain social anxiety whenever I had to use a knife and fork. Particularly the knife—as a vegetarian, I rarely ate anything that couldn’t be dispatched with a fork, or a spoon if it was particularly liquidy. Then there was the cutting up of food into pieces small enough to put in your mouth, a morsel at a time, as if we were all baby birds. Hotel breakfasts among strangers, which should be the most anonymous of meals, felt especially like show trials. Even as I’ve learned to get by—to assimilate or to pass, perhaps—with a knife and fork, each formal meal still brings with it the faint threat of clinking. What I had always thought of as my own compromised method of cutting then switching the fork over to the right hand to eat turns out to be an American convention, frowned upon elsewhere, but is actually a remnant of an older European style which then evolved only on the continent. Here, too, the betrayal is implicit. In films and period dramas (most famously the 1980 war flick The Big Red One), improper fork technique becomes a plot device through which American spies are identified and exposed. Beyond the politesse of etiquette, cutlery’s impact on us runs deep. In an interview at The Atlantic, Bee Wilson, author of a book documenting the evolution of eating technologies, attributes the rise of the overbite to the popularization of the knife and fork. Archaeological evidence shows that it emerged in the West just 250 years ago, a timespan too short for any evolutionary changes. (Extend your jaw forward, so that your teeth meet edge-to edge: this is what our mouths looked like before.) Rather, Wilson cites anthropologist C. Loring Brace’s thesis that our toothy present is a result of the way we use cutlery, from childhood onwards. A similar change was documented in China a full 900 years prior to the change in the West, which coincides with the adoption of chopsticks. But really, it’s exactly these niceties—utensils as a funny cyborg civilizational appendage—that make cutlery so fascinating. If I were the kind of person who puttered around antique shops and yard sales on weekends—the kind of person who allowed herself to accumulate things and who couldn’t always fold her belongings into one crammed suitcase—weird cutlery would be my poison. Every mealtime today remains a study in curves, replete with its own anatomic language. Spoons have stems, shoulders, and bowls, and forks feature necks, backs, and roots (that follicular negative space between prongs). As it is, my first and so far only tattoo includes that knife and fork duo that’s haunted me all my life, as well as what is ostensibly a flat-bladed dagger but more closely resembles a pastry server. 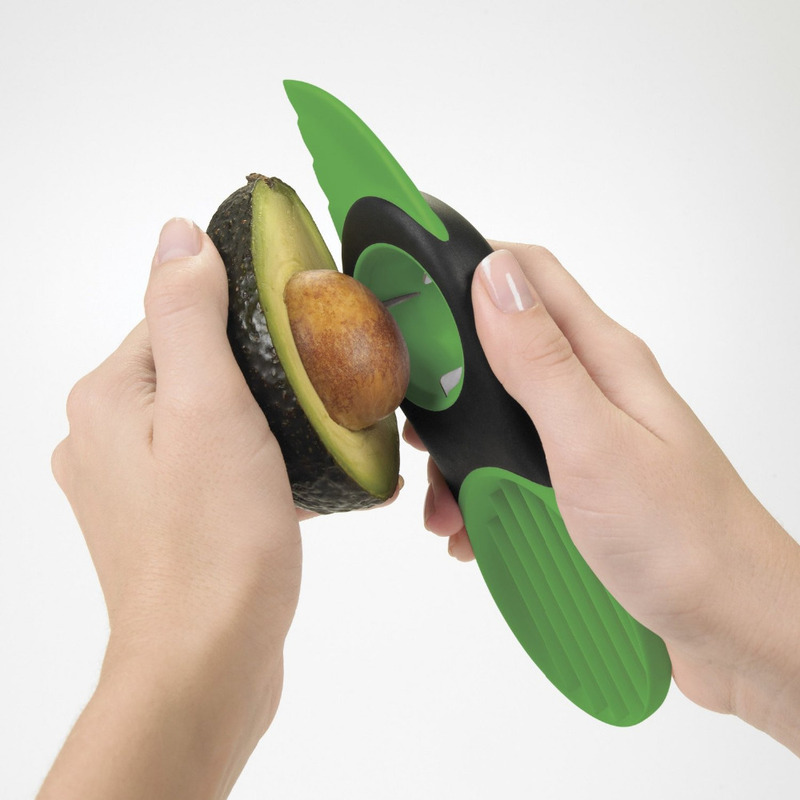 Or perhaps it’s an ice cream slicer, the curved knife that used to be de rigeur before they invented the scoop, paired with the rounded proto-spork of an ice cream fork. As with much else, cutlery got really weird in the Victorian era. 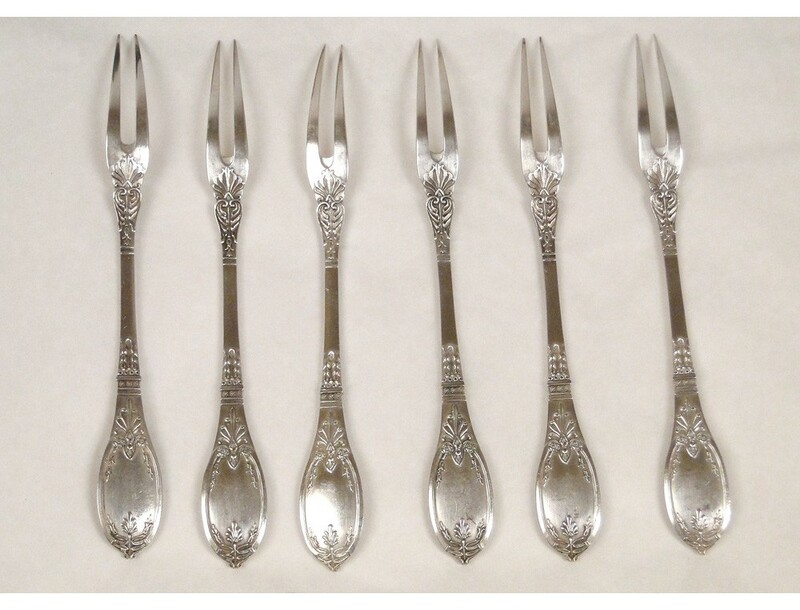 Propelled by notions of hygiene and a deep horror of flesh touching flesh, well-to-do Victorians developed an exhaustive set of cutlery that was customized for each and every foodstuff. Think grape scissors to snip off mini bunches for your cheese plate, or the aggressively toothed cake breaker to slice a crumbly cake, or the extremely ornate flat tomato servers with their delicate lacework of cutouts that allowed seeds and juices to drain. 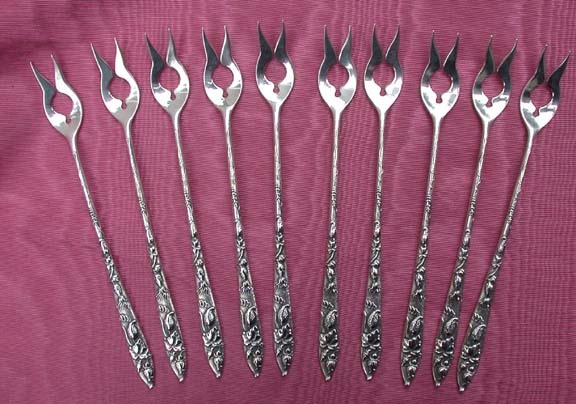 And while you might still see some of these utensils deployed today—the marrow spoon for scooping out the gooey insides of a bone, perhaps, or fondue, oyster, and snail forks—hyper-specialized Victorian cutlery has largely been relegated to the realm of antiquarian oddities. Breakfast-specific iterations include the grapefruit spoon with its pointed, serrated Ted Cruz smile of a tip that helps to separate the fruit from the pith. An alternative is the grapefruit knife, curved and serrated on both ends, which also works well with oranges and other morning citrus fruits. There’s even the long-handled and short-tined roadkill flatness of the bacon fork, which enjoyed a brief window of popularity in the 19th century. 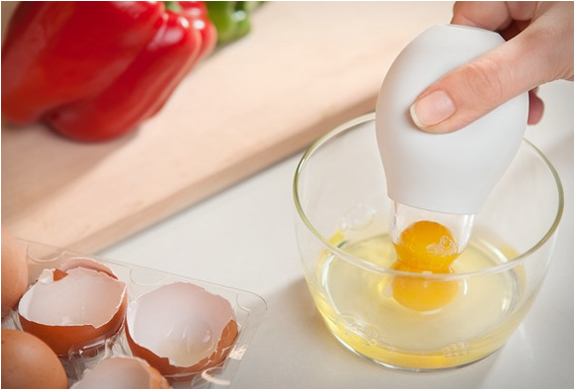 Most tableside serveware, however seems to center on that most basic, if capricious, of breakfast foods: the egg. Egg cups, each cradling a single boiled egg, have been in continual use as far back as the Bronze Age, while egg coddlers, often rendered in beautifully painted porcelain, are believed to have become fashionable in Europe around the 19th century. 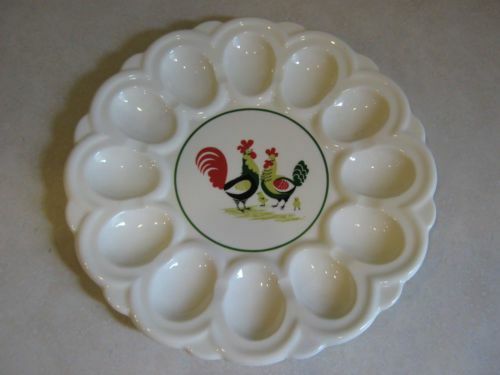 Of uncertain origin but still in use today are indented egg plates, whose popularity is inextricable from the rise and fall of the deviled egg. 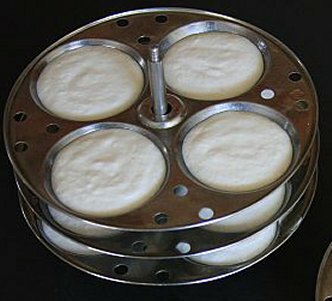 Rack four egg plates along a central spine and you arrive at something close to the stainless steel stand for idli—a savory steamcake made with fermented rice and lentils—that is ubiquitous throughout southern India. Each food culture of course comes with its own specific breakfast gear, like the idra or Egyptian ful pot originally used to cook breakfast beans over the dying embers of bathhouse fires. Particularly delightful is the Scottish starter Pokémon of a utensil, the spurtle. This carved wooden stick originally boasted a flat, spatula-like end for flipping griddled oatcakes (this version is called a Couthie spurtle; a historical American analogue might be the pudding or mush stick.) 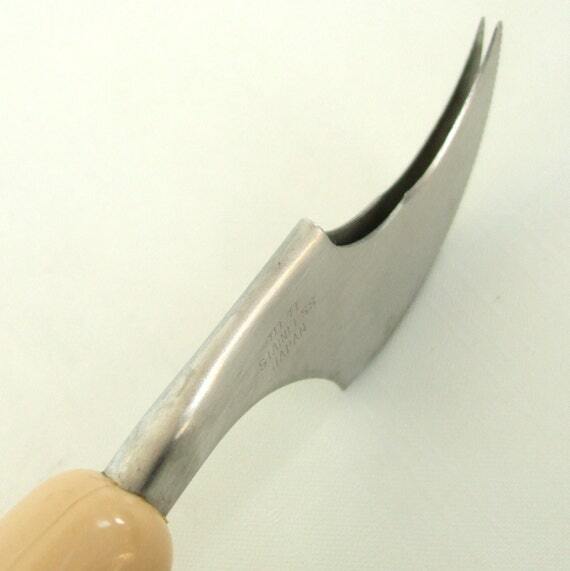 Over time, it morphed to have a rounded end and is now used primarily as a stirrer to disperse starches and prevent lumpy porridge, but is equally useful with soups and gravies. This is perhaps the only tool here that fits Michael Ruhlman’s dictum, “As a rule, any tool that has only one use should be avoided.” Personally, I can think of nothing more disappointing than the chef’s knife. Fast forward to the present, and we enter the flickering realm of infomercials, the culinary equivalent of a drunk dial. I love them. There’s a gristly seduction in TV ads, which truly give you the best insight into how a society presents itself—not the products so much as the gestures, inflections, and twinned, root-lifted buoyancy of the soundtrack and hairdos. There’s a delicious morbidity, too, in vicariously consuming the arpeggiated aspirations of others over so many late nights in stale-carpeted rooms before hotel breakfasts. Egg slicers, with their guillotine staves of piano wire, avocado pitters, yolk extractors, revolutionary nonstick finishes to make NASA cry, the Hamilton Beach Breakfast Sandwich Maker, the 19th-century fever dream of the Bacon Bowl, where flesh becomes tableware. Yet unlike the class-specific, showy flourish of Victorian silverware or even the workaday utility of the idli plate, idra pot, or spurtle, these modern products seem, at base, to speak to the mild, managed terror of daily existence. Call within the next ten minutes and your life could be better. The perfect avocado toast; the perfect poached egg.